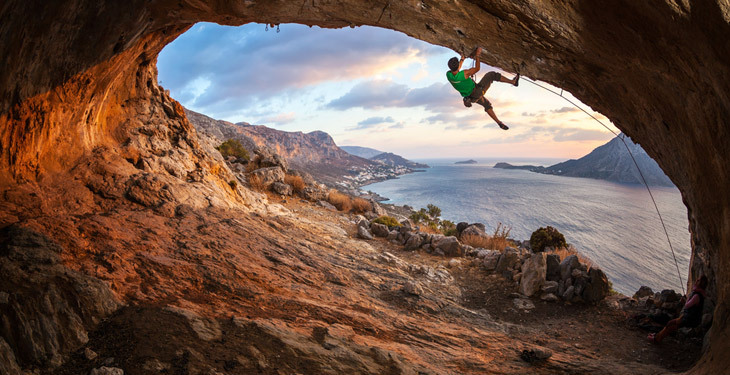 Climb epic crags on the Greek island of Kalymnos. This is the perfect opportunity to crank some of Europe’s best sport climbing routes. 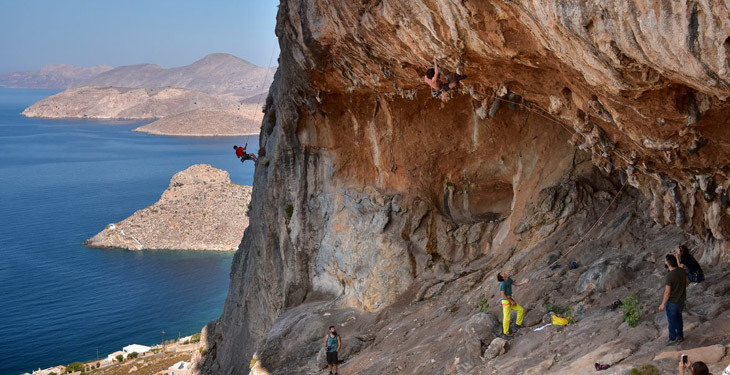 Spend 8 days on the beautiful island of Kalymnos at this Rockbusters Climbing Camp. For climbers in the know, there is little need for explanation of this rock climbing haven. 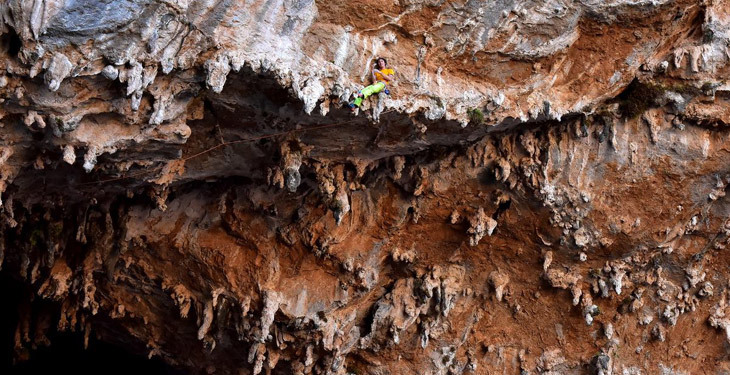 Known as one of the best sport climbing areas in the world, Kalymnos offers hundreds of sport routes and slabs to crank, and in Spring you'll find some really peaceful and empty crags to climb. During the 6 days of climbing, you'll have the opportunity to climb as much as you want while Rockbusters provides you with expert one-on-one video and photo analysis. If you’ve already got a bit of climbing experience and are looking to take it to the next level, then this is the perfect time to do it. This course focuses on more challenging routes, including overhangs and steep sections to develop strength and confidence (working towards leading F6c and above), as well as on-sight/red point aimed at climbers who are confident enough with their balance, footwork and basic climbing techniques. You'll also work on slab/vertical ground to improve footwork and climbing efficiency as well as balance and foot placement to develop better techniques for more confident climbing (leading comfortably F5 or more). All Rockbusters camps are dedicated to climbing, but you'll also have a great time off the rock. Join the adventure and get the whole climbing experience, enjoying a full day of climbing and afterwards kicking back and relaxing with the group at night. Meet your guides and fellow climbers in Kalymnos. Share a communal dinner on the first night and have a relaxed discussion about the week ahead, people's abilities and ambitions for the week. Day 2: Today, enjoy an introduction to climbing. You'll get a taste for the rock and tackle some warm-up routes. Your guide will review safe belaying, top-roping, plus a refresher course on leading. Day 3: Continue climbing today, with top-roping on some trickier routes for the beginners. Intermediate and advanced climbers will focus on gaining confidence and improving lead climbing techniques. Day 4: Today the beginner group will work on lead climbs on easy terrain. Your guide will also cover advanced belaying and how to control falls dynamically. Day 5: Today will include more technical coaching. Advanced climbers will concentrate on finding and working a red-point project. Day 6: Discuss and practice red-pointing, flash, and onsight methods. Your guide will make sure everyone is having fun and making progress on their technique on the rock. Day 7: Enjoy your final day of climbing today and consolidate your week's work. Finish projects you've started and lock in the skills learned. Afterward, enjoy a farewell dinner and party. Your climbing adventure ends today. Make your way to the ferry for the return trip home. Everyone needs a rest day but these are not fixed into the itinerary. Listen to your body and take a break when you need it. Supported by Scarpa and Singing Rock, Rockbusters was founded on the enthusiasm and motivation of a group of rock climbers who have shared numerous great climbing experiences. With a new and fresh approach to providing rock climbing courses, they have first-hand knowledge of the best crags and routes in Europe’s top climbing areas, and will give you insight into the sport climbing ethos and lifestyle. They’re a multi-cultural team of guides and instructors from various European countries. With enthusiasm and dedication, they focus on pursuing the passion that makes people travel the world in search of climbing adventures. Their guides’ skills have been tested on mountains all over the world—from the Himalayas to the Czech sandstone towers. For those at Rockbusters, climbing is more than just a sport, it’s a lifestyle that they want to introduce to their clients through the trips they lead. You’ll gain a great deal of experience, and leave with a desire to come back for more. Jan and his colleague did an excellent job of giving our whole group a unique and authentic European climbing experience, all while pushing each one of us to climb hard and improve! In short, they were tremendous guides and great people who are dedicated to what they do. Their knowledge of the climbing destinations were invaluable and they did a great job of picking crags with a variety of climbs to suit each climber's needs. I can't say enough about how great of an experience this was! Keep them coming! Jan and Bibi (Rockbusters) were absolutely awesome and professional guides at their best! They were great at answering questions before I left and completely exceeded my expectations during the trip. Both of them made sure that everyone on the trip found climbing routes suited to their experience level - and then motivated us to push our limits! I had a fantastic trip, and Jan and Bibi were the reason! I'm recommending this trip to everyone I talk to and will be back again myself! Rockbuster's is a fantastic company with a unique product offering. They have limited offerings, catering to the climber who knows the basics and wants a no frills experience heading to some of Europe's best crags. With knowledgeable, experienced and safe guides who will push your climbing to the next level and organize a great party after, Rockbuster's is the clear winner. I have been on four trips and wracked up 8 weeks of my most memorable climbing. Jan, his company, and philosophy generate great experiences for all and I now consider him a great friend as well. Rockbusters is an awesome company. Actually it's basically a group of friends that have a true passion for climbing and adventure. I was on one of their first trips to Mallorca, which was a dream come true—free soloing over water, so sick. It was perfect for me because I do love climbing but don't have any friends that climb or much outdoor knowledge or gear which Jany and his team took care of. Thanks for proving this lone surfer a sick experience. Definitely want to book again. Yes, all departures are guaranteed to depart. 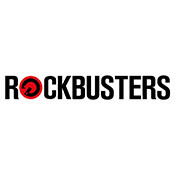 However, please wait to make travel arrangements until you receive booking confirmation from Rockbusters. To get to Kalymnos you'll need to fly to the nearby island of Kos which is served by low cost airlines. From there you can take a ferry to Mastichari port in Kalymnos. Alternatively, you can fly straight to Kalymnos Airport which has a connection from Athens, but the flights often get canceled due to high winds. Accommodations are included in the trip cost. You'll be staying in shared hostel or apartment-style lodging. Solo accommodations can be arranged if booked in advance, at an extra cost. Please contact Rockbusters for more information. Each group will range from 6-12 guests. When is the best time to visit Kalymnos? 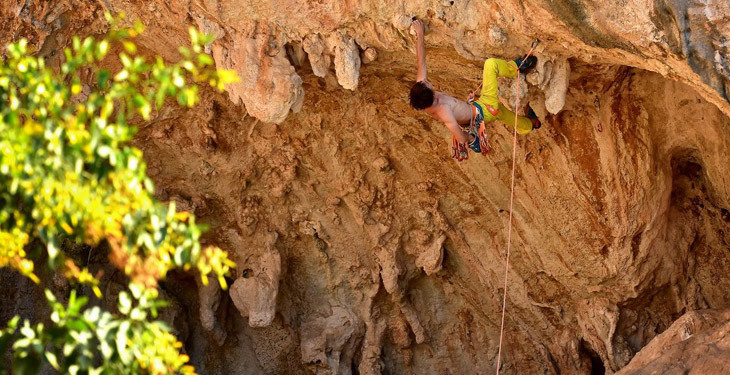 The best time to climb in Kalymnos is from April through to May and from October to November. During those times the island is not too busy with tourists and the conditions are good. 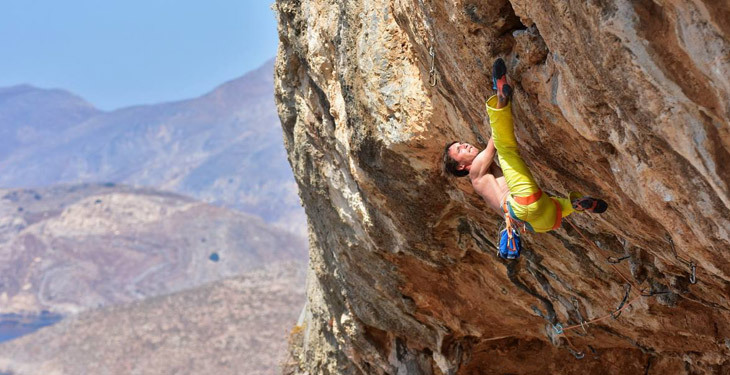 The climate in Kalymnos is quite dry which makes it possible to climb throughout the year. Most of the crags are in the shade in the morning, so if you get the timing right, you can always find decent climbing conditions. Unsurprisingly, summers are way too hot for serious climbing. Since most of the crags are south facing, climbing in winter is possible, but the rock takes a long time to dry and rain is frequent. All meals are at your own expense and there are plenty of local options for dining. Evening group meals are provided on request at a cost of 15€ each. There will normally be 2 dishes available and you can go opt for both. They also include wine... in reasonable quantities! Plan to bring at least 200€ (about $250) for food and other expenses. Plan to bring climbing shoes, good approach shoes, sleeping bag and pad, backpack, hat, headlamp, a light, a warm jacket and outdoor clothing (layering is important). Rockbusters provides ropes, quick-draws, belay devices, sling with screw gate carabiner, and all necessary hardware for climbing (harnesses, helmets, etc. ), as well as tents and cooking equipment. You may bring your own climbing hardware if you prefer. Travel and climbing insurance are required for this adventure. It allows you to seek reimbursement if you are forced to cancel your trip for unforeseeable reasons, or if you need to cover medical help, emergency transport, and/or theft or accidental damage while traveling. For travel insurance, we recommend World Nomads. Book confidently with Free Cancellations within 72 hours of booking. After 72 hours, cancellation fees will apply. Cancellations are subject to the full discretion of Rockbusters. For more information on our Travel Cancellation Policy please Click Here.